The Neighborhood is here to stay. CBS just announced they’ve renewed the TV show for a second season. The sitcom centers on professional conflict negotiator Dave Johnson (Max Greenfield), who moves with his family to the Los Angeles area, after his wife, Gemma (Beth Behrs), land a job as a school principal. 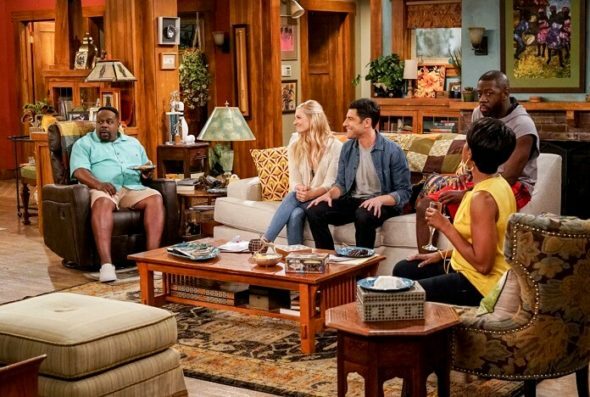 The Johnsons’ new next-door neighbor, Calvin Butler (Cedric the Entertainer) is generally suspicious of outsiders and worries Dave will mess up the predominantly black community’s dynamics. It’s not a huge surprise that CBS has given a season two to The Neighborhood. The freshman comedy has been performing well in the ratings since its October 2018 debut. So far, season one is averaging a 1.12 rating in the 18-49 demo and 6.43 million viewers, making it CBS’ top-rated new comedy for the 2018-19 season and one of their top comedies overall. The network has not renewed Sunday’s God Friended Me for a second season yet but a renewal is expected. Renewals of Happy Together and Murphy Brown are seen as more of a longshot. What do you think? Have you seen The Neighborhood? Will you watch season two?